​One of the two new E-Flexer RoPax ferries bound for the Liverpool – Belfast route in 2020 has recently marked an important production milestone by celebrating its official keel-laying at the AVIC shipyard in Weihai, China. The new vessels will have capacity for 1 000 passengers, 120 cars as well as 3 100 freight lane meters. ​Stena Line has confirmed that it will be introducing two of its three new ships onto its Liverpool – Belfast service in 2020/21. The first of its new RoPax ferries currently under construction in China is planned to enter service on its Holyhead - Dublin route in early 2020. 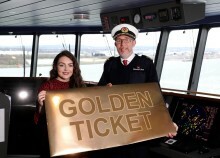 ​AUGUST is here already, but don’t worry if you haven’t found the time to book a summer break or short trip away yet as leading ferry company Stena Line has launched a sale which will allow customers to save up to 15% when taking a car to Ireland. 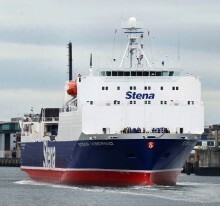 ​Ferry company reports significant growth since 2011 acquisition LEADING ferry company Stena Line is celebrating a very successful first five years on its Belfast to Liverpool and Heysham routes which have experienced significant growth following their acquisition from DFDS. ​A record number of Irish residents, 76%, have been on a self-drive holiday and ahead of this year’s peak travel season, interest is even higher than it was last year, according to a recent survey. 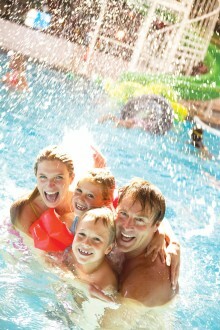 ​Family break from only £419 in total for travel by ferry & self-catering accommodation STENA Line has launched a red hot 3 for 2 summer offer giving holidaymakers the chance to save up to £100 off a self-catering break to one of 8 fantastic Haven Holiday Parks in Britain when booked by June 30, 2015. ​LEADING ferry company Stena Line is offering families the chance to enjoy a fun filled summer break in July at a Pontins Holiday Park from only £349* per family for seven nights when booked by May 31. Respected travel bible, The Rough Guide, has named Liverpool and Glasgow as two of the world’s top ten most exciting cities to visit in 2014. Liverpool was described by the guide as having recently experienced a ‘full blown cultural renaissance’ whilst the city of Glasgow was highlighted as a ‘cultural powerhouse’.